Well, that was an interesting experience. For most of the evening I felt like a gatecrasher at a meeting of a benevolent religious sect. I never felt unwelcome but, as an impartial observer (I liked the run of singles between 1983 and 1986) I couldn’t share the devotion of the fans who had all the albums, knew all the songs, B-sides included, and had stayed with Howard Jones for over thirty years. And I’ve never seen so many couples in their forties/fifties cuddling at a gig. These were people who had grown up with Howard’s music and made it part of their lives. Taking their cue from his Buddhist beliefs, they were ready to welcome outsiders to the celebration; they certainly extended their welcome to Rachael Sage as a support act. 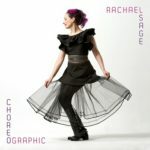 I’m slightly biased; I saw Rachael a couple of times last year and loved her “Choreographic” album. 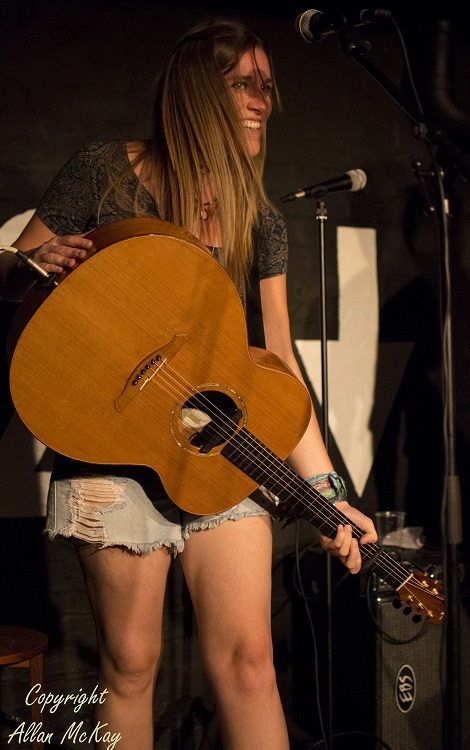 Accompanied by her usual duo partner, violinist Kelly Halloran, she played a short (thirty minute) set taken mainly from the latest album, featuring “Loreena”, “I Don’t Believe It” and “Heaven is a Grocery Store Clerk” and a new, unreleased, song about the Dakota Access Pipeline and the plight of the people of Standing Rock Reservation. 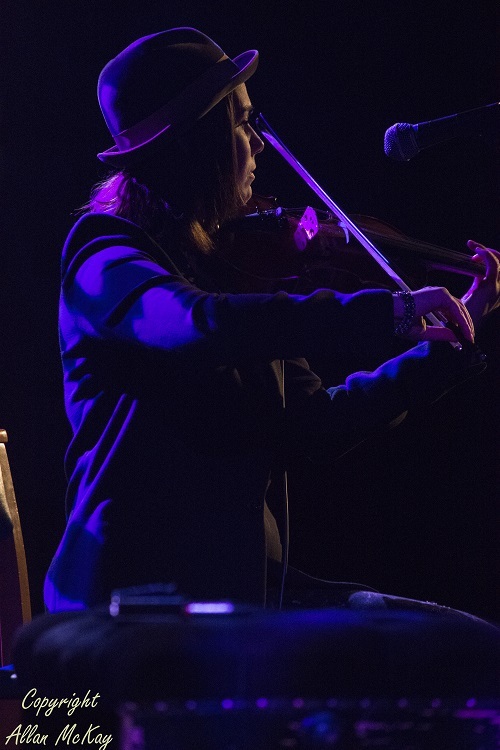 The Howard Jones fans warmed to Rachael’s very personal style of writing and the powerful performance of her guitar and keyboard-driven songs punctuated by Kelly’s violin (ever heard wah-wah violin before?) 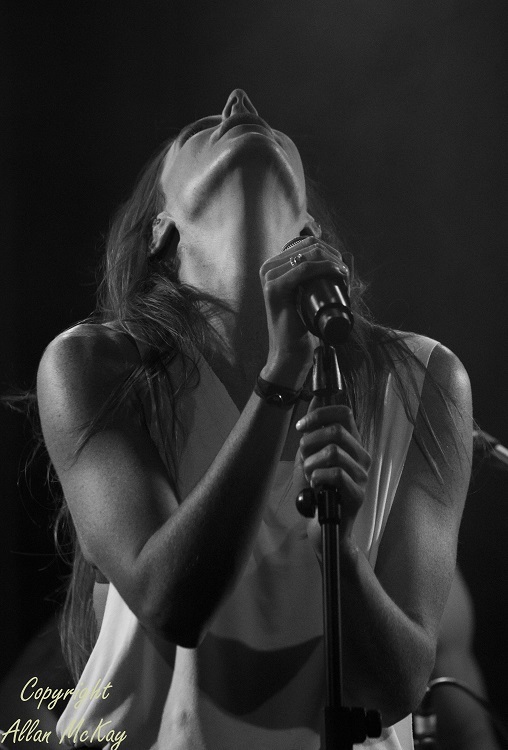 and occasional backing vocals. A great audience response and the stage was set. Howard Jones performs solo, with only a digital piano as accompaniment and it’s quite a challenge to deliver a set featuring songs that were mainly driven by big eighties synths, but he’s worked hard to pare down the arrangements for this format. Unlike a lot of eighties nostalgia acts, he sticks to his own material (with one exception) because he knows his audience and he knows what they want to hear. He knows what they want to hear because they’ve been emailing their requests for months and the set’s based on those requests. Value for money? It’s a full two hour set with the songs (including “New song”, “What is Love?”, “Like to Get to Know You Well” and “No One is to Blame” and lots of album tracks) interspersed with Howard’s anecdotes and the fans’ reasons for requesting particular songs. And that’s the only real problem for me; the stories of people’s lives, with the triumphs and tragedies, attached to particular songs evoke memories of the sickly Simon Bates “Our Tune” feature which premiered on Radio One in the eighties. That aside, Howard Jones’ solo piano accompaniment works perfectly and his voice is holding up really well. I probably wouldn’t have chosen this gig, but I was entertained without being totally engaged and it was fascinating to see such a loyal audience. And the one non-Howard Jones song was a George Michael tribute – “Careless Whisper”. You can see photos of Rachael Sage here and Howard Jones here. You might not have heard about this, but today is the first day of Anti-Bullying Week. You might wonder what that has to do with a music website, so I’ll tell you. 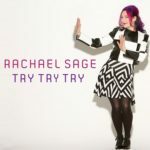 The incredibly gifted singer-songwriter Rachael Sage (who we interviewed a few weeks ago) is supporting the anti-bullying charity Ditch the Label by donating the proceeds of her latest single to the charity. The single, “I Don’t Believe It” has been taken up as an anti-bullying anthem following the online success of the video featuring eleven-year-old Kaci King, three-time national dance champion who contacted Rachael on Facebook after hearing her songs. The video and the song are both superb, so why not buy a great song and feel good about yourself because the proceeds are going to a good cause?